We take about 2-7 business days to create our apparel out of our studio in Los Angeles. Then you should add shipping times on top of that. 97.66% of our orders are shipped within 5 business days. More than a half of our orders are shipped within 3 business days or less. For more information, please visit our Shipping and Returns page. Your items are unique to you and custom-made when the order is placed. All sales are final. Any returns or problems that occur because of an error on our part (such as design issues) will be handled on our end, with a new item being sent or a refund being issued. 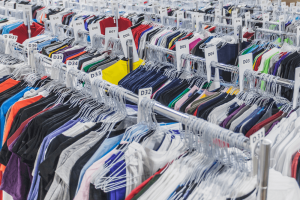 However, at this time, we are not able to exchange or issue returns based on an incorrect size, item or color being ordered. Please review the product and size charts closely to make sure you are ordering the correct product and size before placing your order. Where can I see size chart information? What if it is damaged/defective? Do you offer friends/family or general discount codes? To keep it fair for all of our valued customers and friends/family alike, we are not able to discount our merchandise and have already priced our products very low to allow for more fans to have access to them. However, we do still plan to run seasonal specials and deals and will announce them to everyone through our BASG-Mail Shop Newsletter, Facebook and Twitter. Yes, we’d be happy to work on a custom order for you. Please email shop@bayareasportsguy.com with details of what you would be interested in having us help you create. All BASG Shop designs are created in-house. We do not accept unsolicited designs or carry designs from other brands. 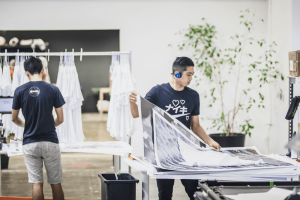 We screen print all of our apparel out of a partnership with an independent design studio in Los Angeles – all work and clothes are made and designed in the USA. 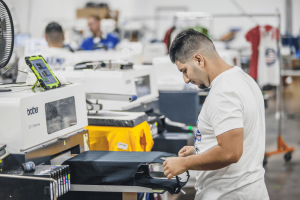 Check out some of the pictures below to see a behind the scenes look at the shop where our shirts are made.